The key IP issues that entities operating in the pharmaceutical and biotechnology industries may confront as they develop and roll out their business strategies. Patents and other intellectual property are increasingly important in life sciences and key drivers in market dynamics. The Technical Board of Appeal of the European Patent Office (EPO) decision (February 1 2017) upholding the revocation of Bristol-Myer Squibb’s (BMS) European Patent 1169038 for lack of inventive step came as a shock and a surprise for many in the pharmaceutical sector. During recent years the number of patent infringement cases in the pharmaceutical field has increased significantly. The patent infringement case of Merck Sharp & Dohme Corp v Hovid Bhd ( MLJU 77, January 6 2017; Suit 22IP-72-12/2014) centred around Malaysian Patent MY-118194-A (the ‘194 patent). As is the case with any office or court of a country party to the European Patent Convention (EPC) deciding on the revocation of a patent, the Polish Patent Office (PPO) faces a major challenge whenever local regulations do not fully overlap with EPC regulations. With the development of the economy, China has become the second largest pharmaceuticals market in the world. In most cases, during the examination of a patent application before grant or during opposition proceedings of a patent after grant, the applicant must deal with prior art documents cited by the examiner or opponents against the patentability of the claims. The medical use of cannabidiol – one of several cannabinoids found in plants belonging to the cannabis genus – has increased significantly over the past two decades. Innovators continue to develop drugs to further understand how to optimise the use of known drugs. Mexico’s statutory IP law, the Industrial Property Law (enacted in 1991 and modified in 1994), resulted from the North American Free Trade Agreement (NAFTA) negotiations with the United States and Canada and the Agreement on Trade-Related Aspects of Intellectual Property Rights (TRIPs). SPC system – simple, transparent and easy to apply? 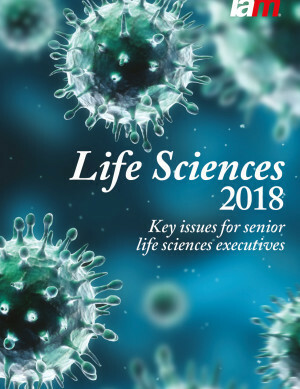 Patent term extensions for human and veterinary medicaments and plant protection products are available in Europe through the grant of supplementary protection certificates (SPCs), which effectively extend the term of a granted patent in relation to a particular product that is the subject of a marketing authorisation. The established approach to drug development is based on the assumption that all patients with a particular condition respond similarly to a given drug.